Staying close to its 'The Complete Man' umbrella thought, Raymond rolls out two new ads, one of which subtly flirts with the concept of stay-at-home dads. For years, fabric manufacturer Raymond has kept its advertising true to its brand statement, The Complete Man. Each ad released under this umbrella thought explores a different aspect a man's personality and relationships - be it with his elders, romantic partners or pets. Each ad ends with the brand's signature tune, accompanied by a voice over that says, "The Complete Man." Keeping the tradition alive, Raymond has released two new commercials, crafted by the Raj Kamble-led creative agency, Famous Innovations. One ad is titled 'Letting Go'; it captures the emotions of a middle aged father towards his adolescent daughter. The film tries to capture that fateful moment when he is faced with the reality that some day he has to let go of daddy's little girl, who will inevitably be lured into the big bad world by her age-mates. This film has been directed by Abhinay Deo of Ramesh Deo Production. The second film, titled 'Being There', features a young, working couple, who are also parents to a little baby. In the ad, the husband volunteers to stay home and take care of their baby so that his wife can meet her professional commitments. The film is directed by Prakash Varma of Nirvana Films. 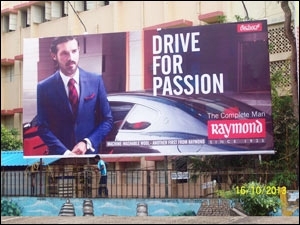 Highlighting the timeless relevance of the brand proposition, Sanjay Behl, CEO of Raymond, says, "The new thematic brand film, with its refreshing insight builds relevance for 'The Complete Man' in today's context." In the days ahead, the campaign, he shares, will include what he calls "product proposition films" that will strengthen his brand's share across the product segments it operates in. 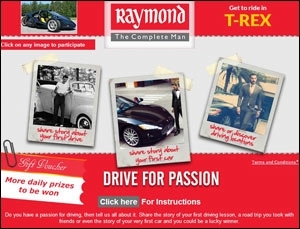 Raj Kamble, founder and chief creative officer, Famous Innovations, says, "These two ads are more progressive and contemporary than what we have seen earlier," insisting that this is an all new tack for Raymond. For most Indian fathers, he explains, "letting go" of their daughters is synonymous with marriage. "But today's 13-14-year old daughters are more independent than they used to be, and The Complete Man is one who understands," he says, adding, "This film wouldn't have worked 10 years ago. It's for today's 'Evolved Complete Man'." About the husband-wife film in particular, Kamble says, "The unique situation of the husband deciding to stay at home while the wife goes to work, is relevant today and wouldn't work for our older generation." Besides TV, the media mix of the campaign includes cinema, digital, print and outdoor channels. 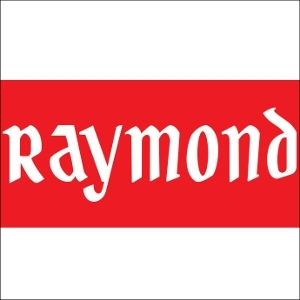 Raymond recently launched its official online store RaymondNext.com. 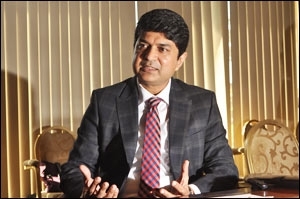 Recall that the Aditya Birla Nuvo-run Madura Fashion and Lifestyle (a competitor of Raymond) launched its e-commerce store Trendin.com last year. Talking to afaqs! about how Raymond is probably a challenging - (not to be confused with challenger) - brand to work on, Jayanto Banerjee, national planning director, Hakuhodo Percept, terms the ads "fresh" and "well executed." The films, he points out, are "typically Raymond" in terms of the style and overall treatment, but he can't help wondering whether they might just be "too soppy for some." "I absolutely loved the 'Letting Go' ad'. As a father of a 16 year old girl, it connects with me perfectly," he shares, confident it will strike a chord with fathers like him. He puts the core TG of the campaign at 35+ years. Does the brand need to become younger, though? "No... it just needs to stay relevant to its core," he answers, adding, "that's something Raymond does quite well." Other industry experts have a different view. To Abhishek Dey, unit creative director, Lowe Lintas, the ads are "a decent attempt." He feels Raymond was a "cool brand" back when men were sole breadwinners - back when 'macho' was a good word. "It was cool to be a brand that's ahead of its times, and showcase the softer side of masculinity. But not anymore," he opines, going on to suggest that Raymond would do well to portray men as "instinctive, playful and fun," just the way it did in its 'Sangeet' TVC, in which a man is shown brightening up a celebratory gathering by playing some spunky music and dancing with a woman who, it turns out, is his wife, and mother of their four year old child. "We need a complete man who is more a man of action rather than of slow-motion!," Dey sums up.